Last June, about 500 professionals of the cheese world met in Aranda de Duero in order to talk about Innovation in cheese elaboration. This event created in 1998 by the municipality of Aranda de Duero and by Oviespaña. On this occasion, the Recinto Ferial has been transformed as the center of interest of the professionals of the sheep world. You can check the program here. The first two days dealt with hygiene, nutrition and treatment of animals. The last day dealt with the analysis of the sheep milk and sheep cheese markets. We had the chance to meet some companies like cooperatives or the Cheesemonger Association but also the ICEX and the Milk Technological Center of Castilla and Léon. – The situation of the domestic sheep milk market of Spain but also of this international one. This main purpose was to assess opportunities in the external market. – The second part was a meeting of the different Technological Centers. We learnt about innovations that companies develop for the sheep cheese market. – The third and last part of this last day dealt with the analysis of sheep cheese spanish exportations thanks to data and experiences. We learnt a lot about the importance to integrate the digital world in your international strategy. 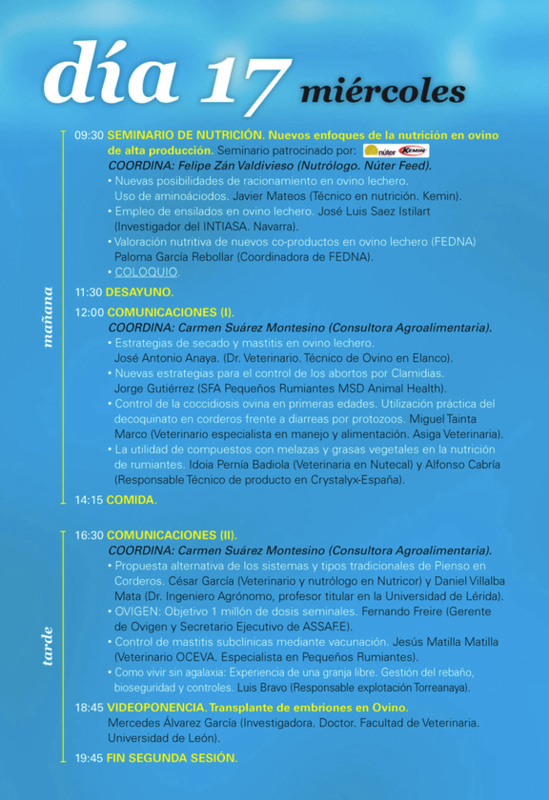 Our Comercial Director and Co-Foundator Fernando Fregeneda, has been invited to share his experience in this event. We hope that the work of Gestión Agro Ganadera and of Quesería La Antigua will help businessmen.